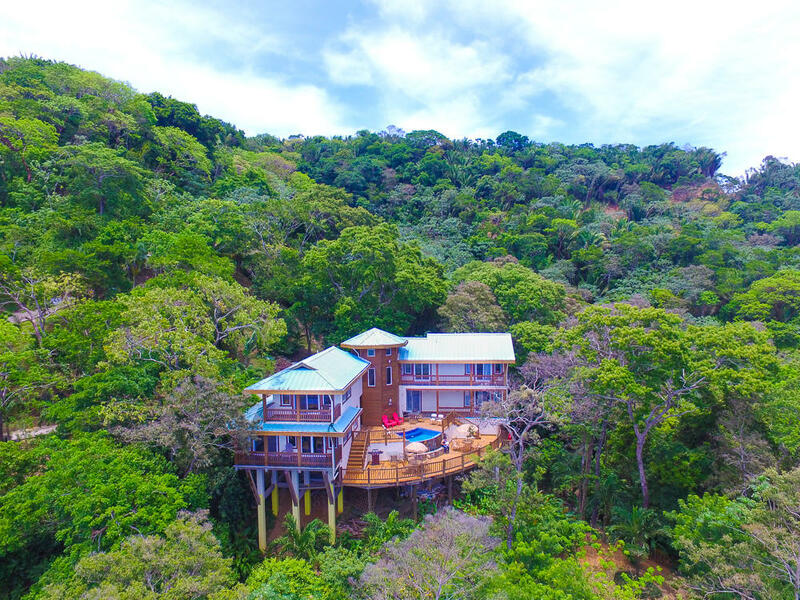 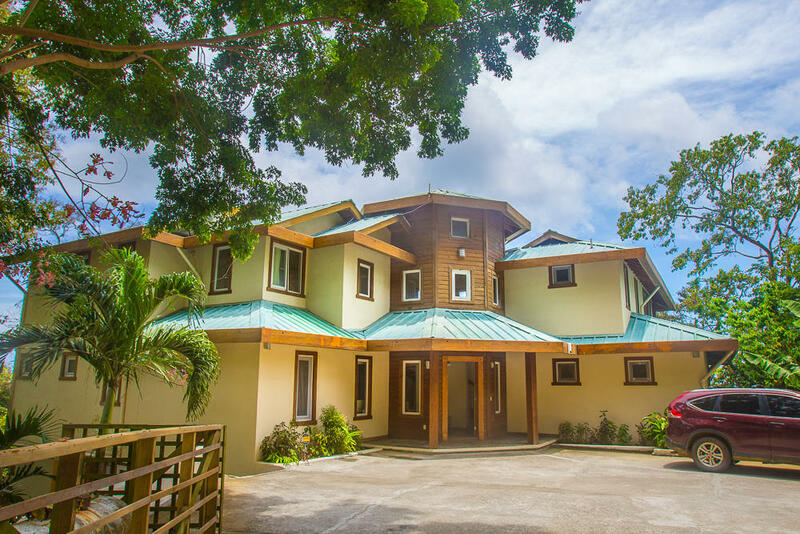 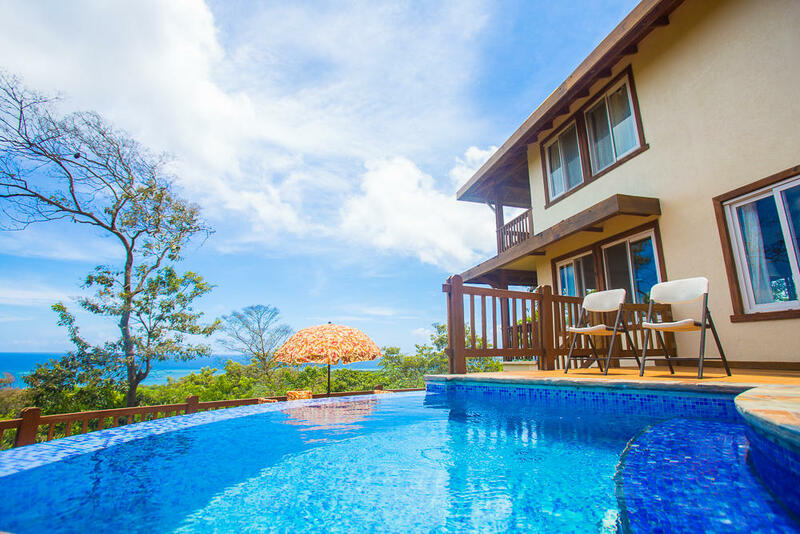 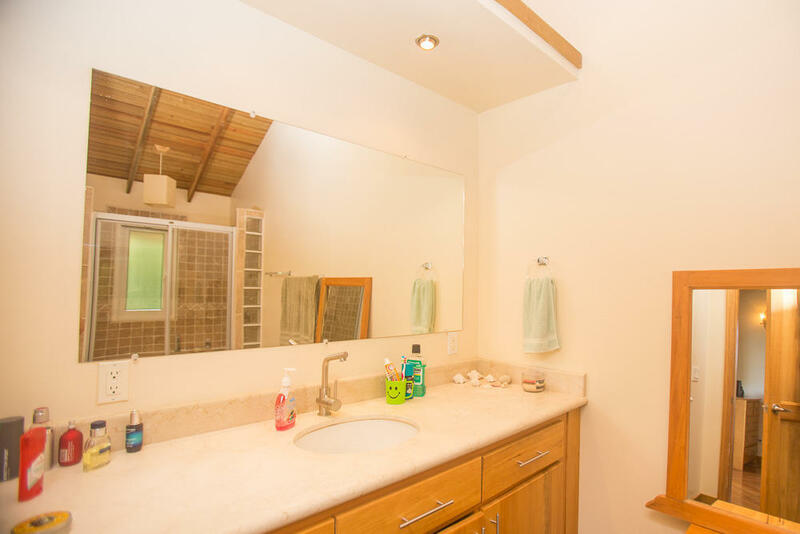 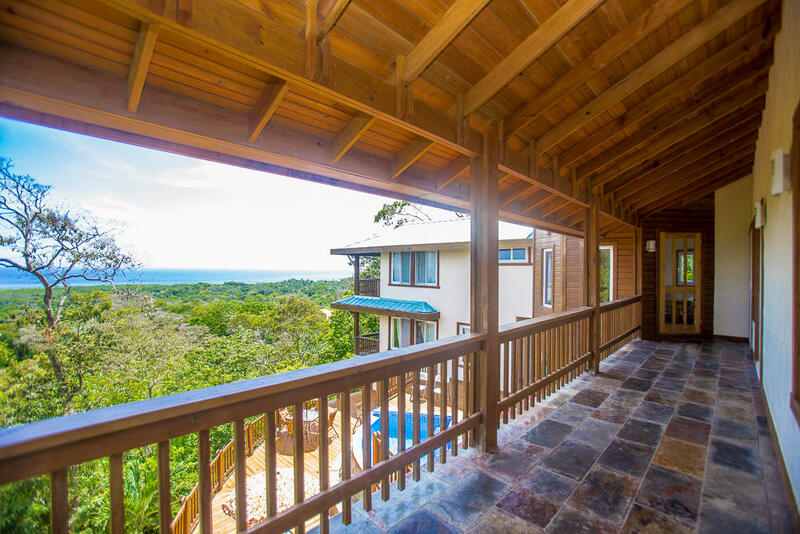 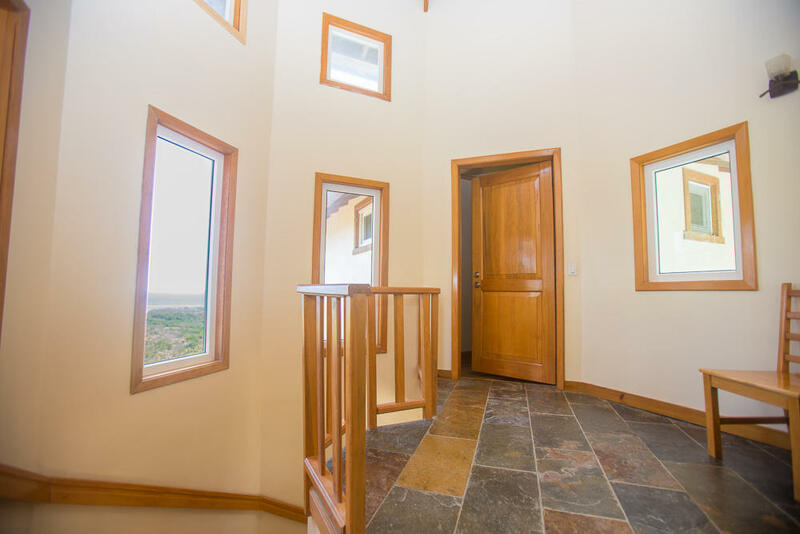 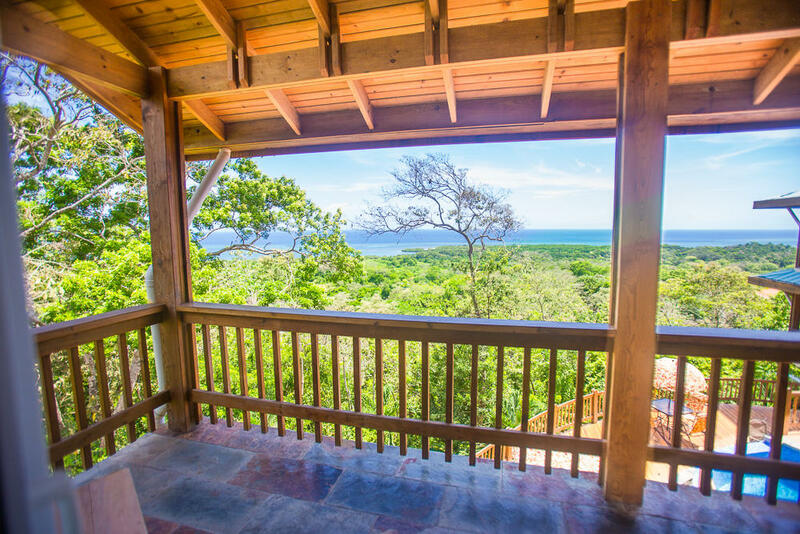 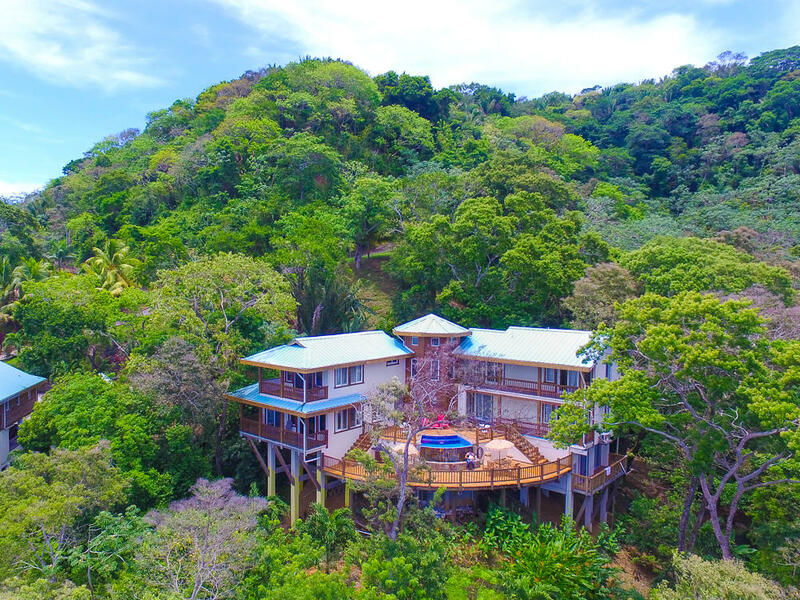 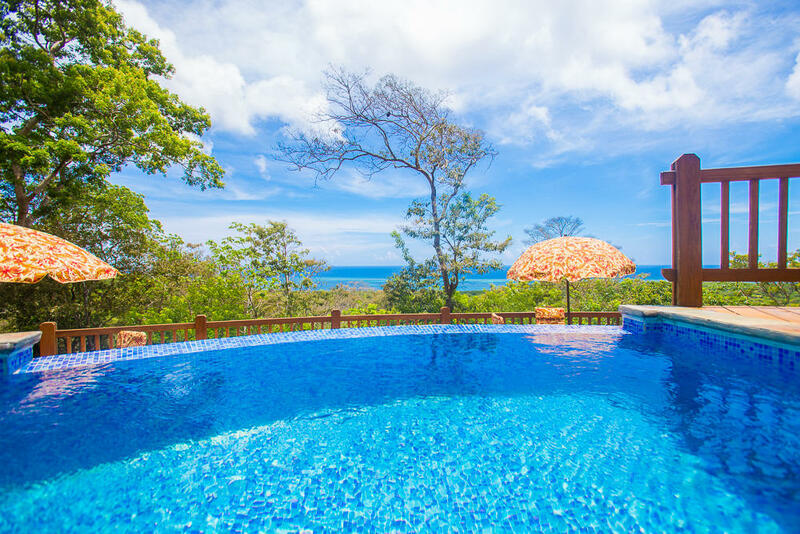 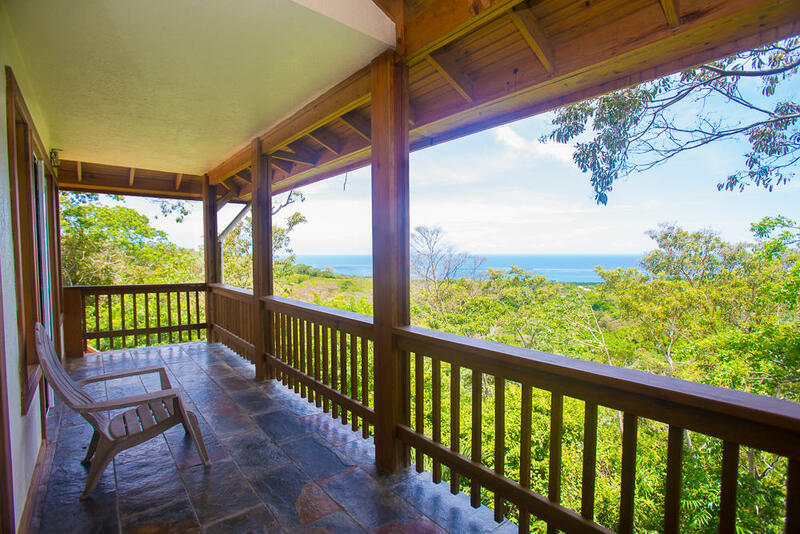 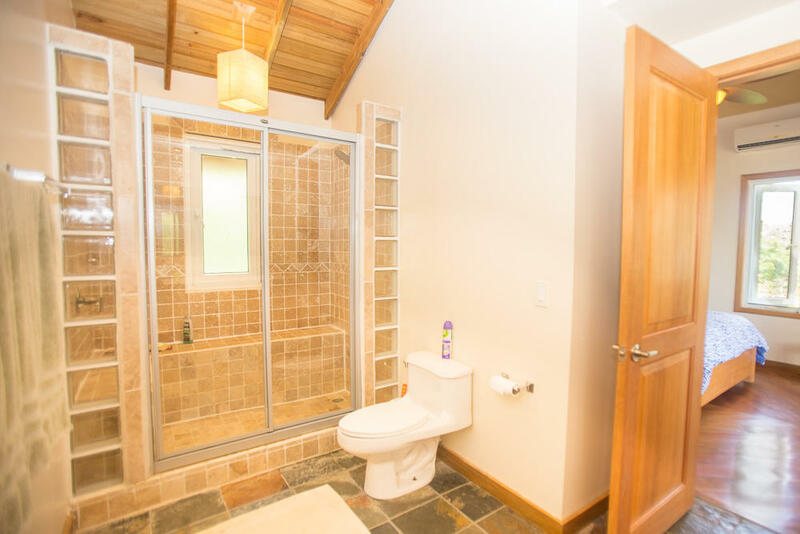 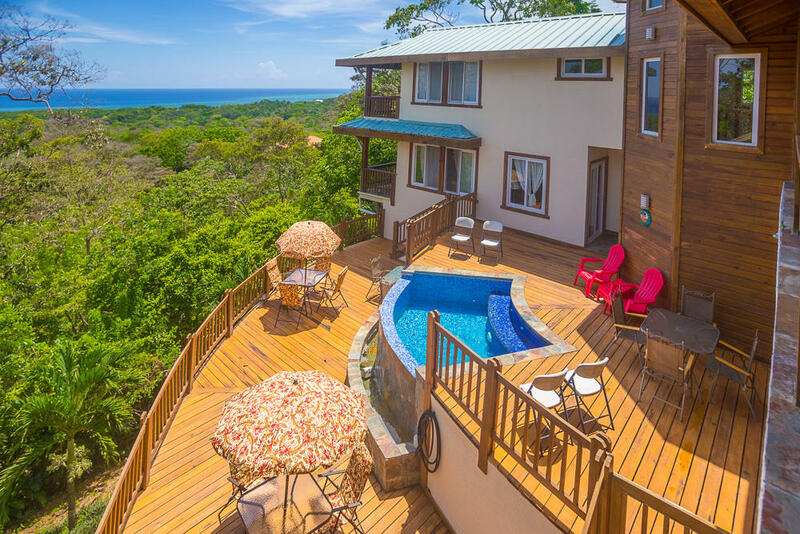 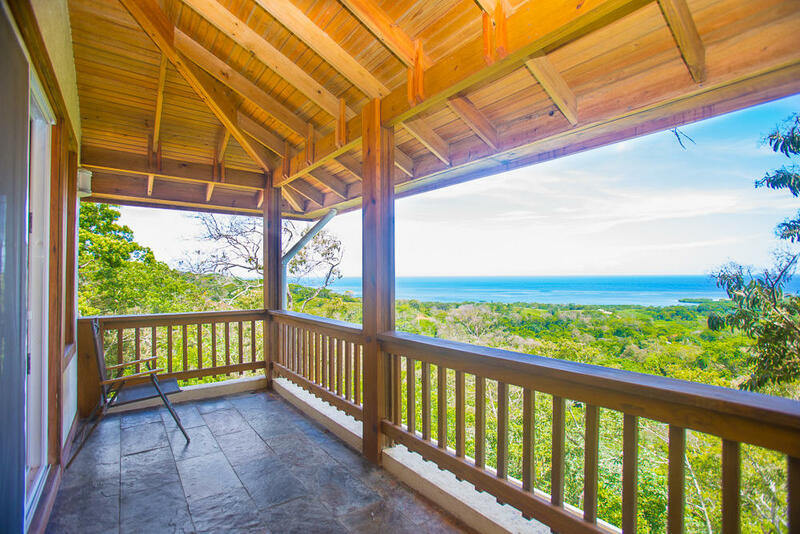 Stunning hillside ocean view home located in tranquil community of Turtling Bay. 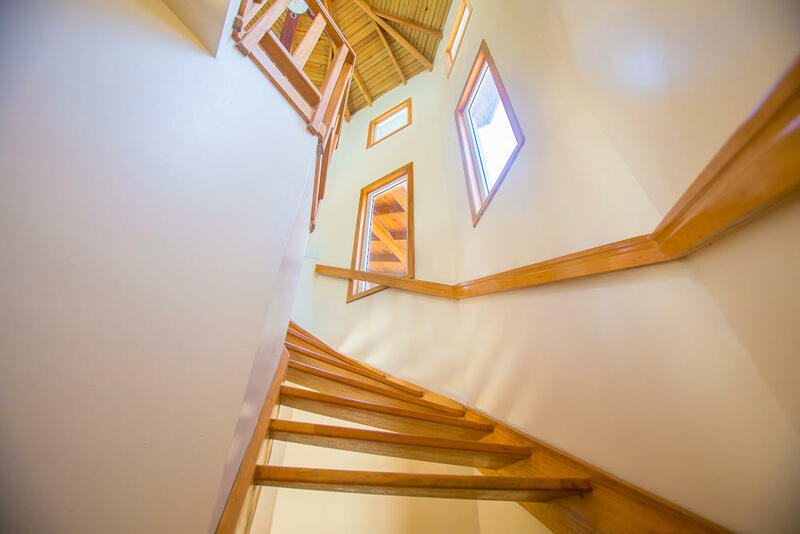 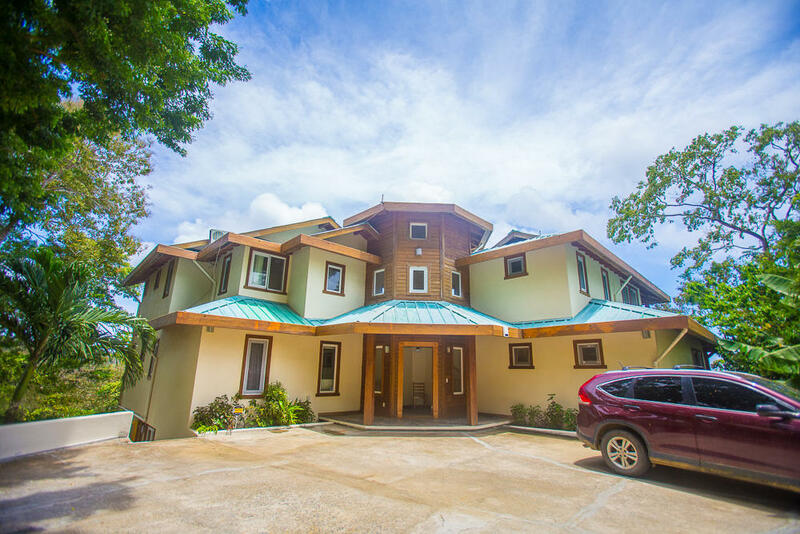 This spacious main house has 5 bedrooms and 4 baths that are spread out in an open concept design, featuring large verandas outside every bedroom. 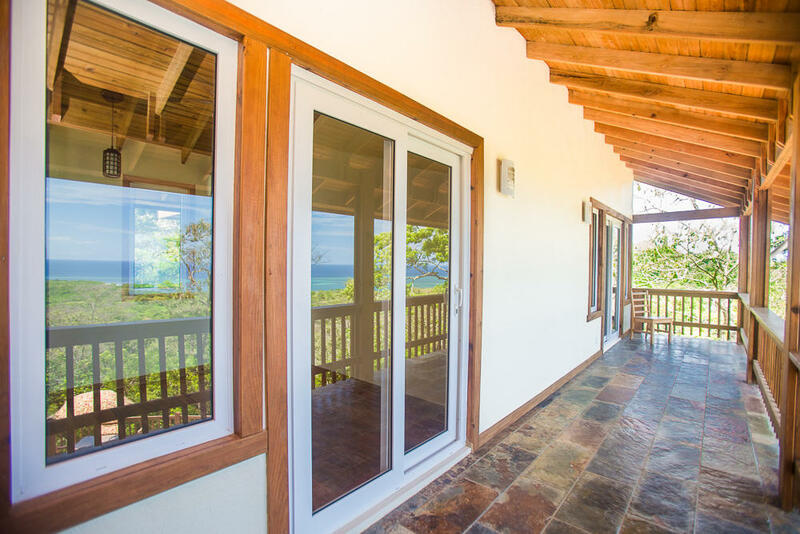 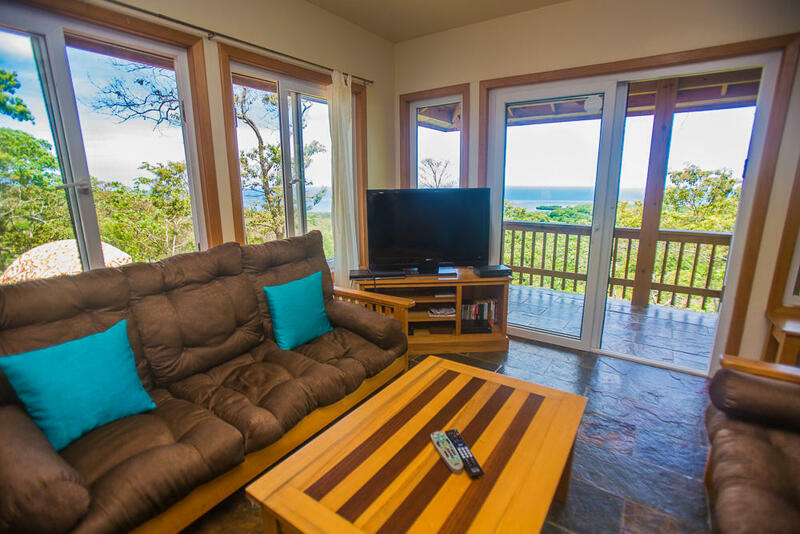 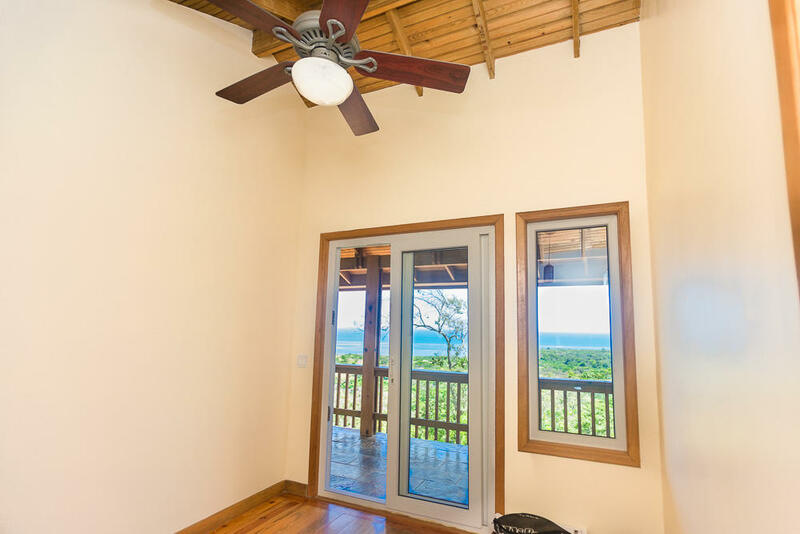 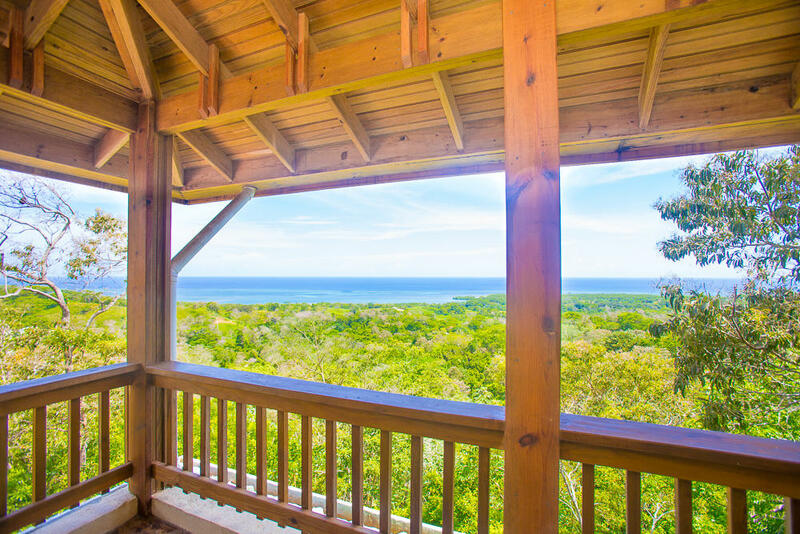 Enjoy ocean views from every room in addition to easy access to the outside living spaces. 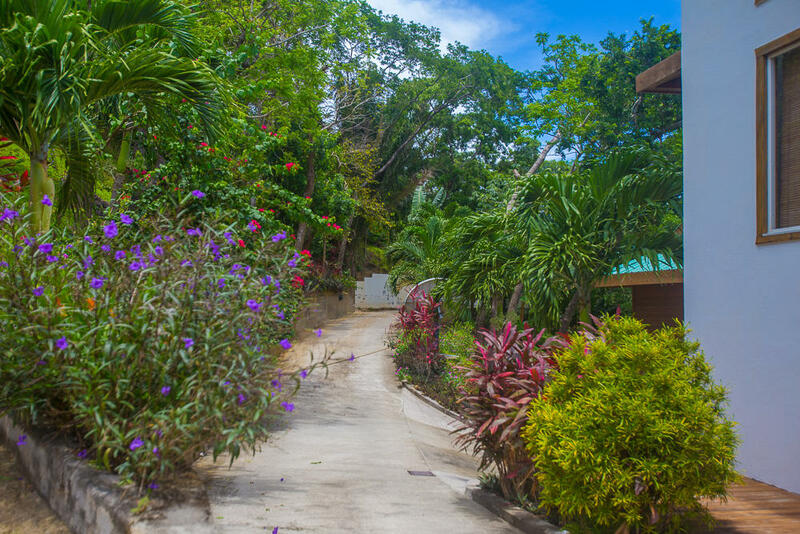 Surrounded by lush tropical gardens, the outdoor living spaces were built for entertaining. 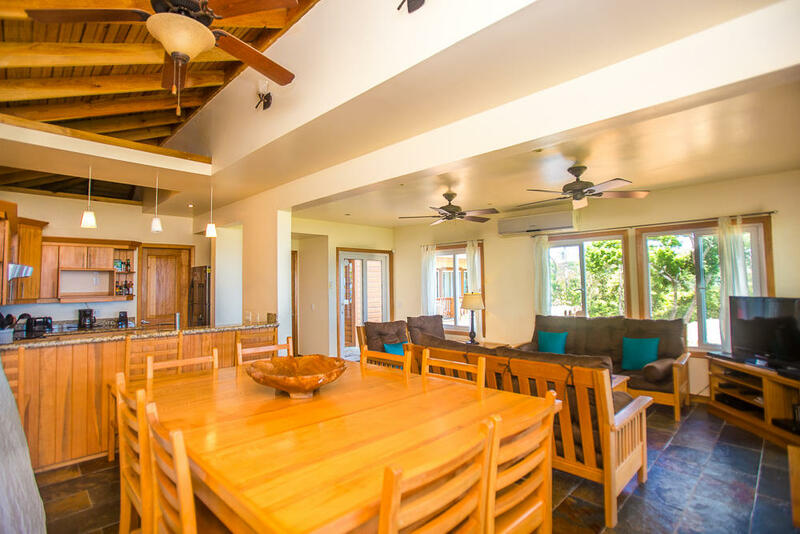 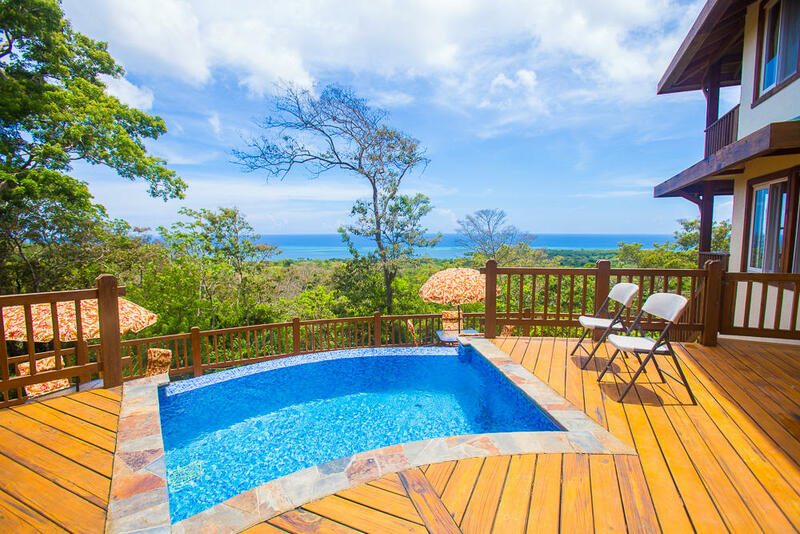 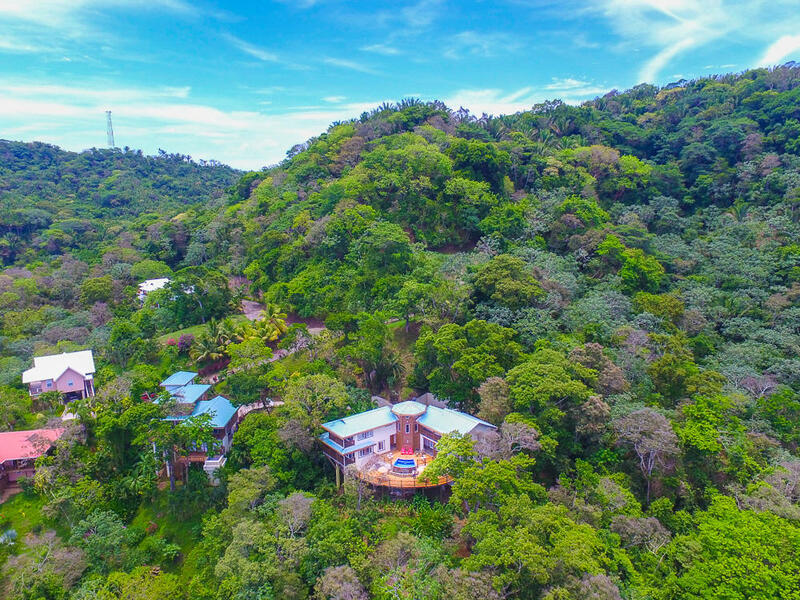 Split on two levels, a lower sundeck has both a dining and BBQ area has easy access to the main kitchen and just steps away from the upper infinity plunge pool. 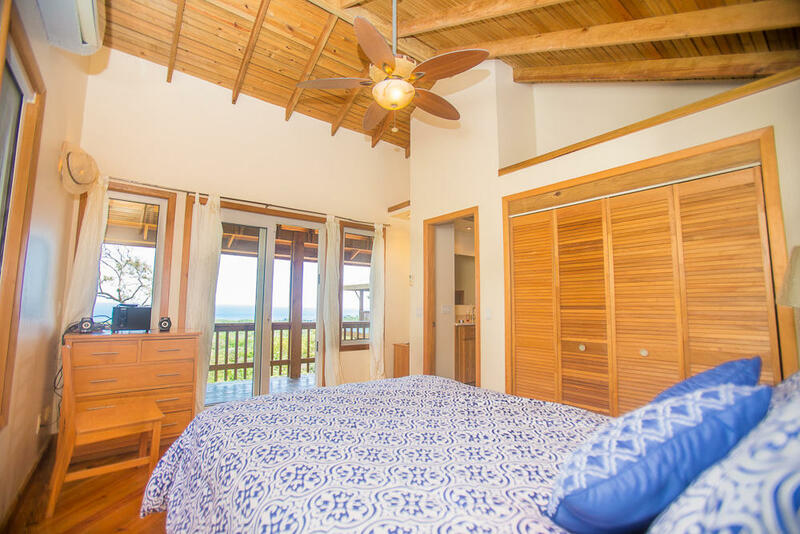 The bedrooms are spread out on 2 levels and in separate wings of the home offering additional privacy to guests. 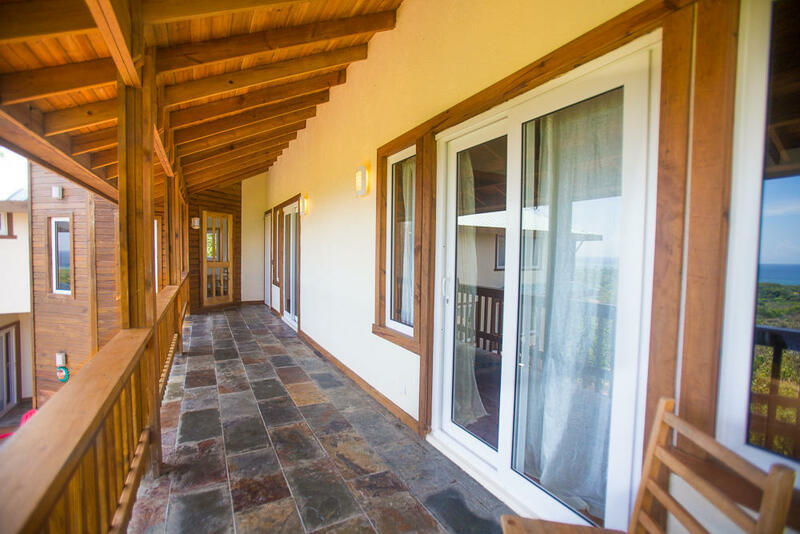 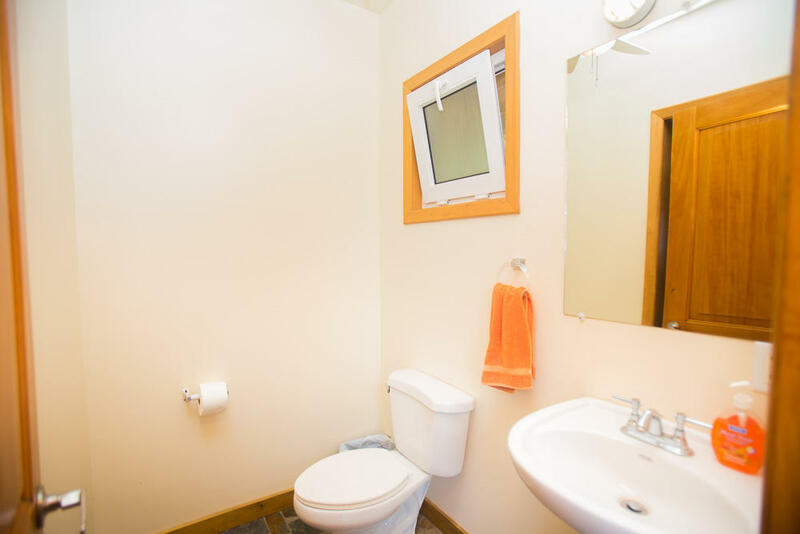 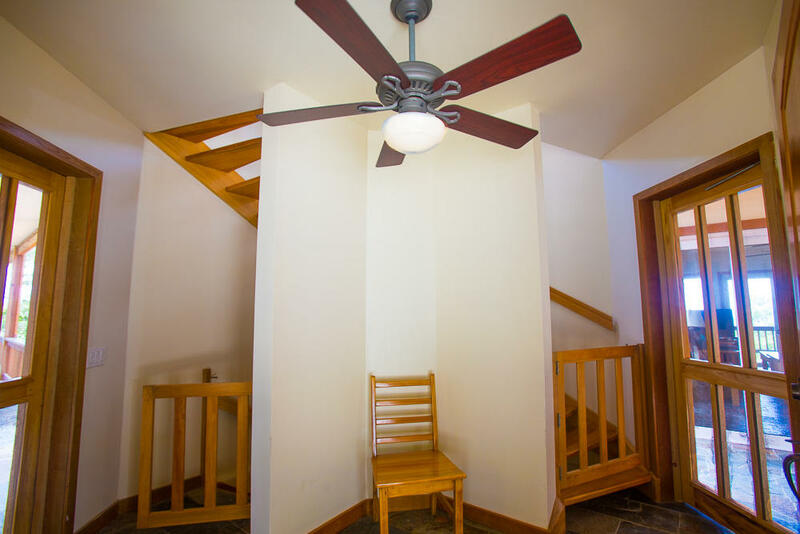 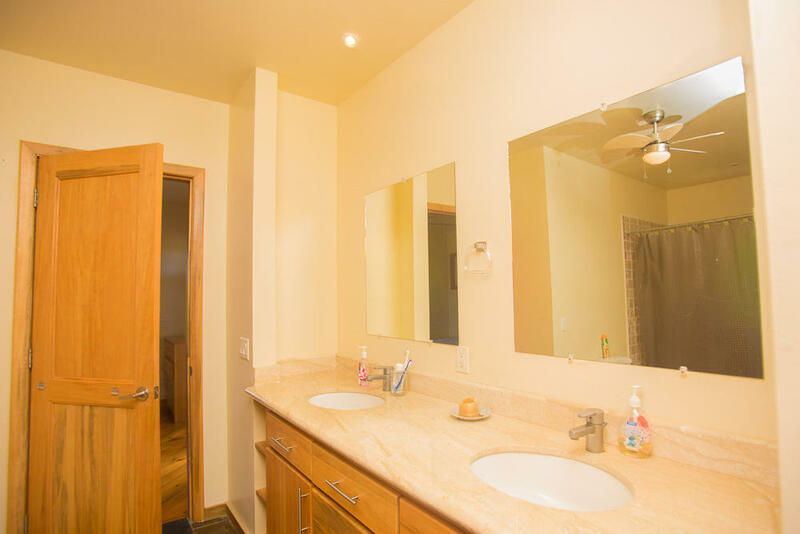 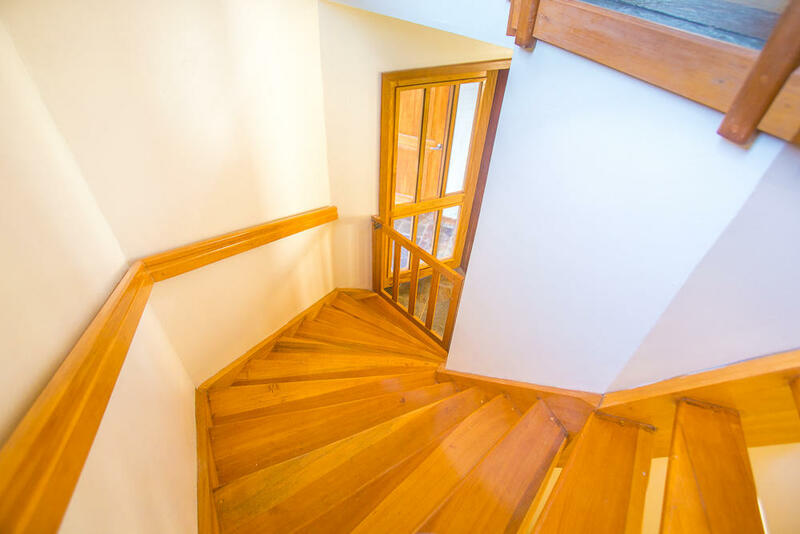 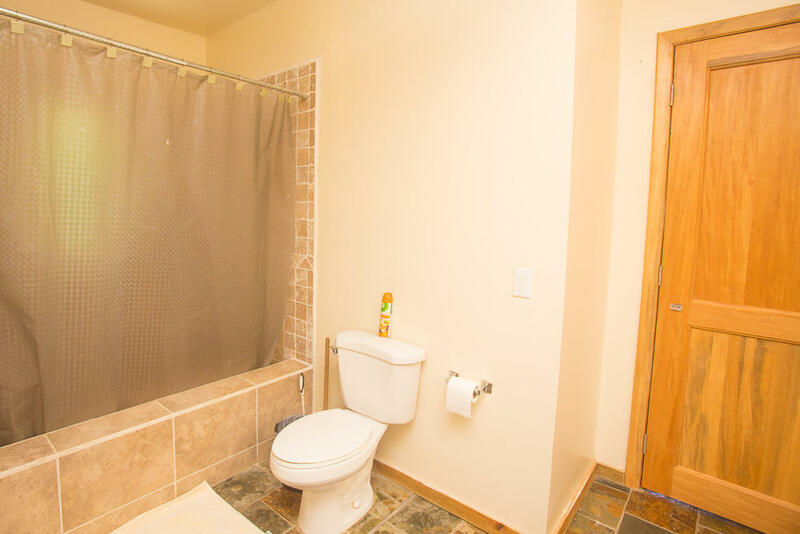 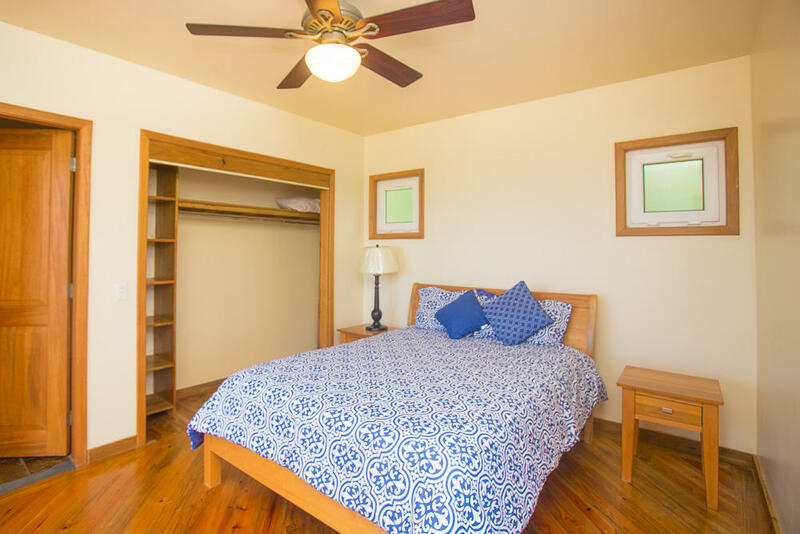 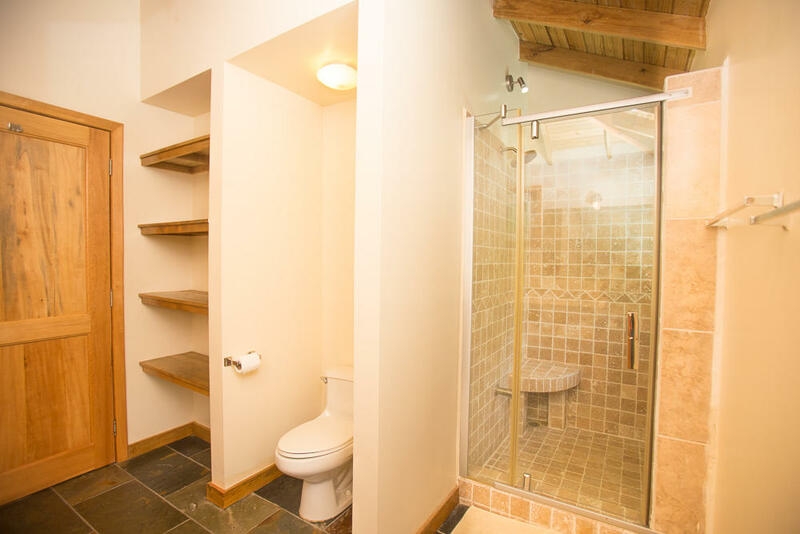 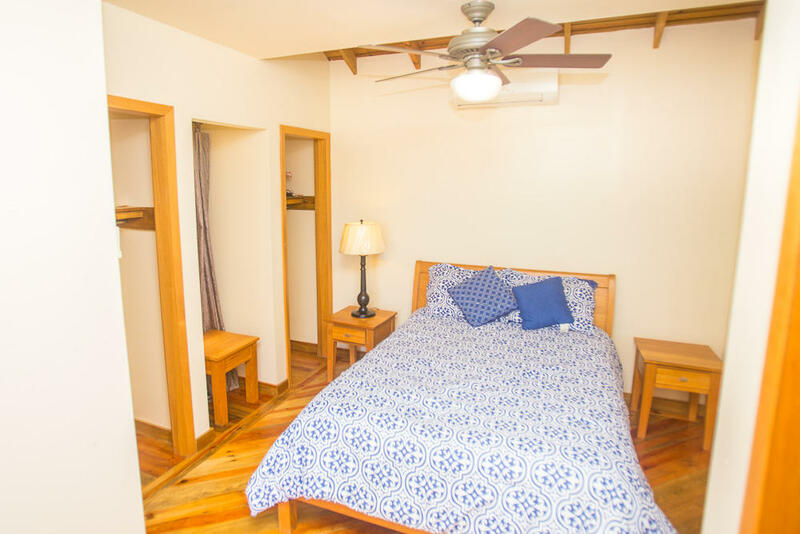 The 1 Bedroom guest apartment has a separate entrance at the side of the home. 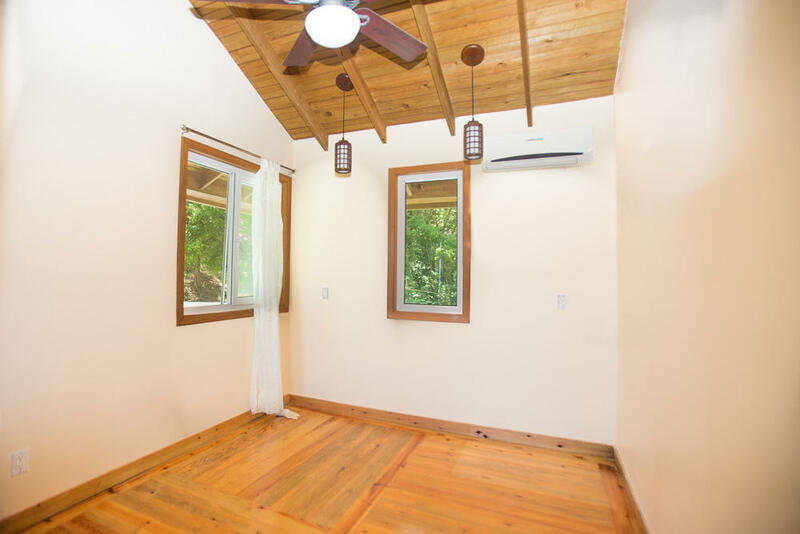 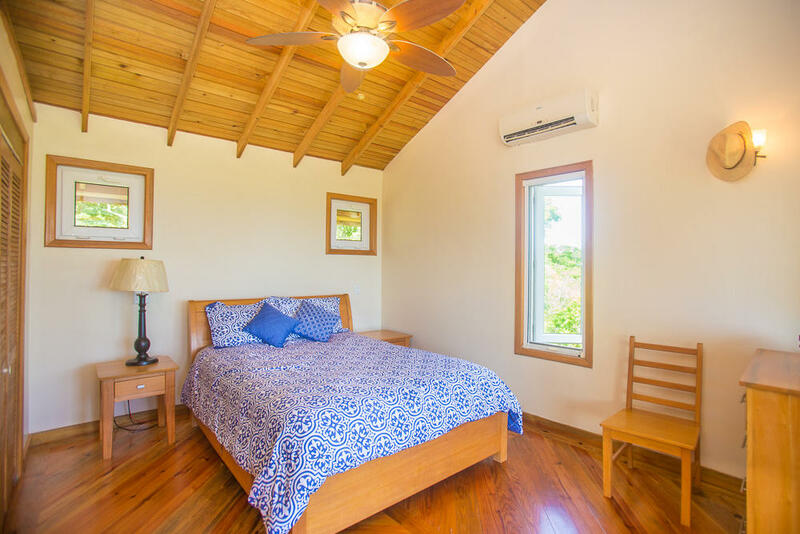 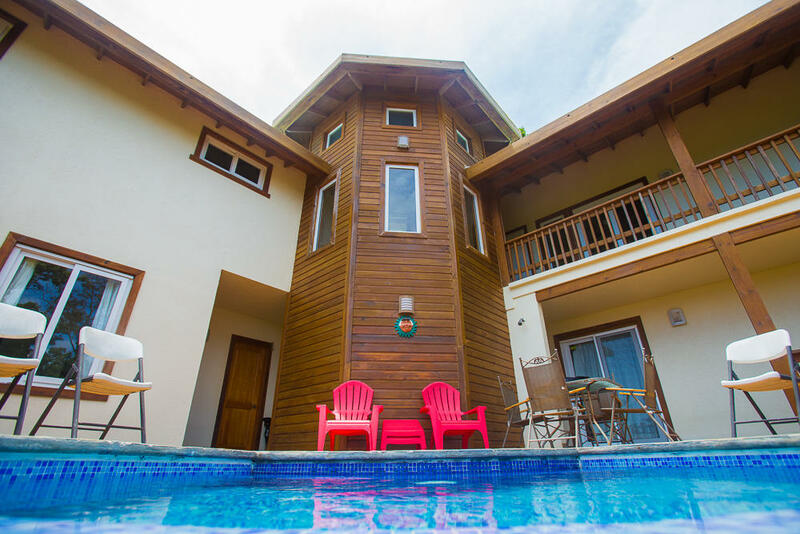 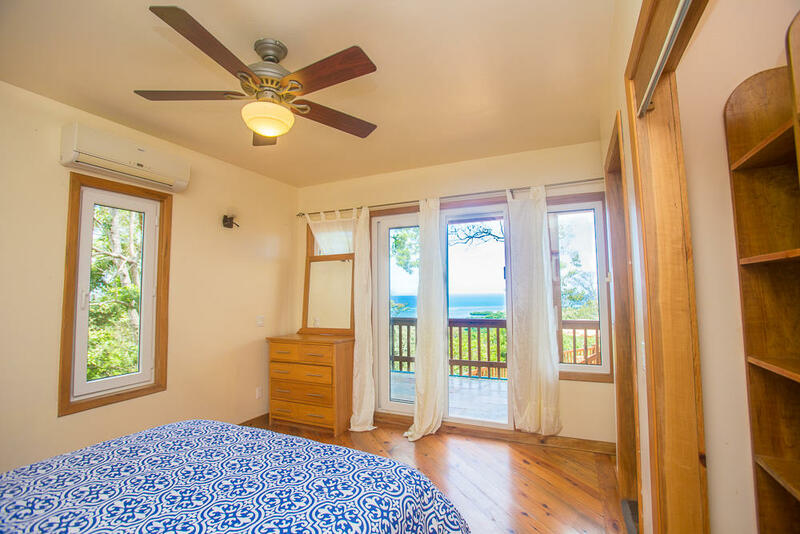 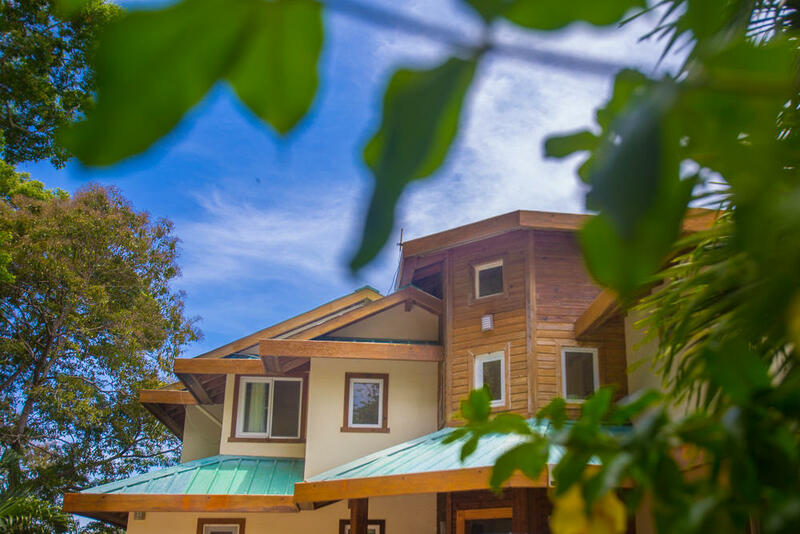 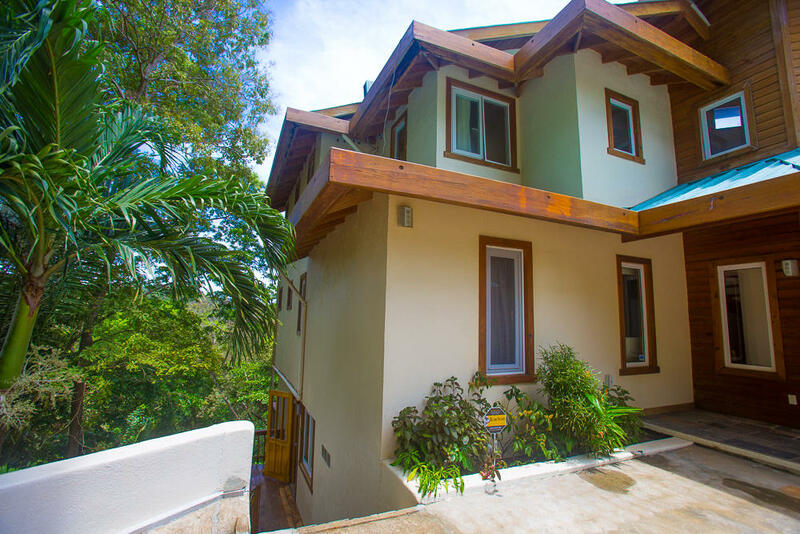 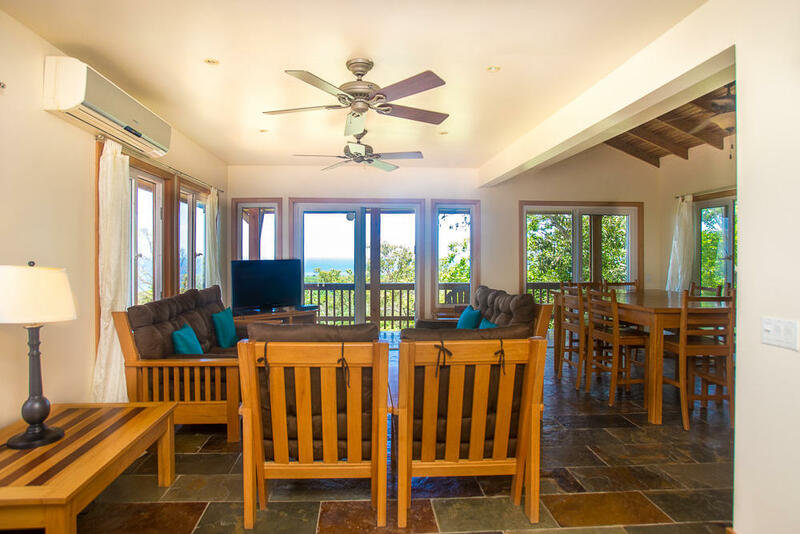 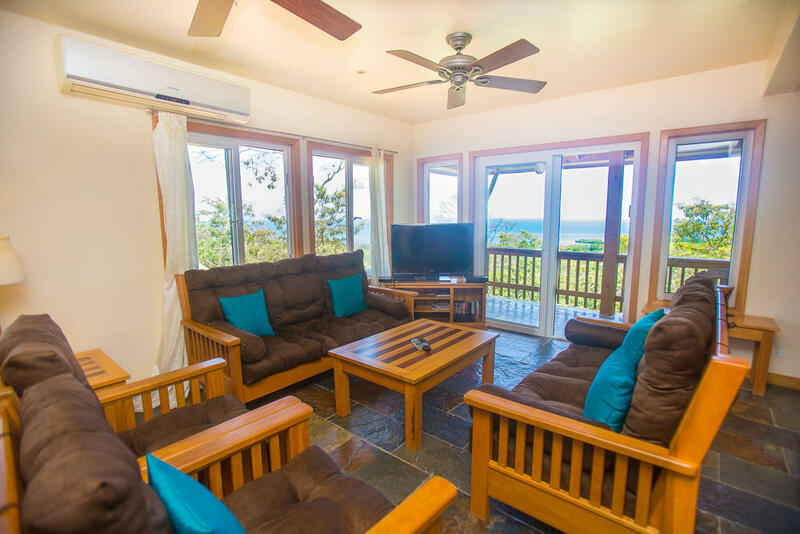 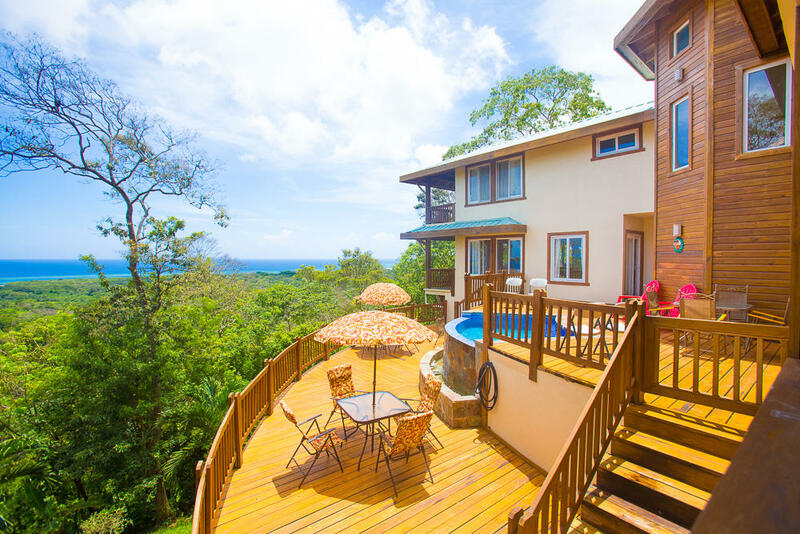 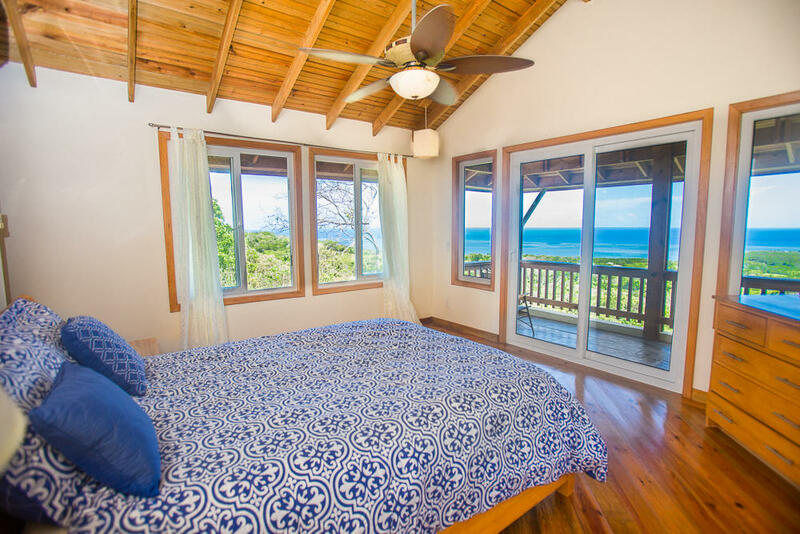 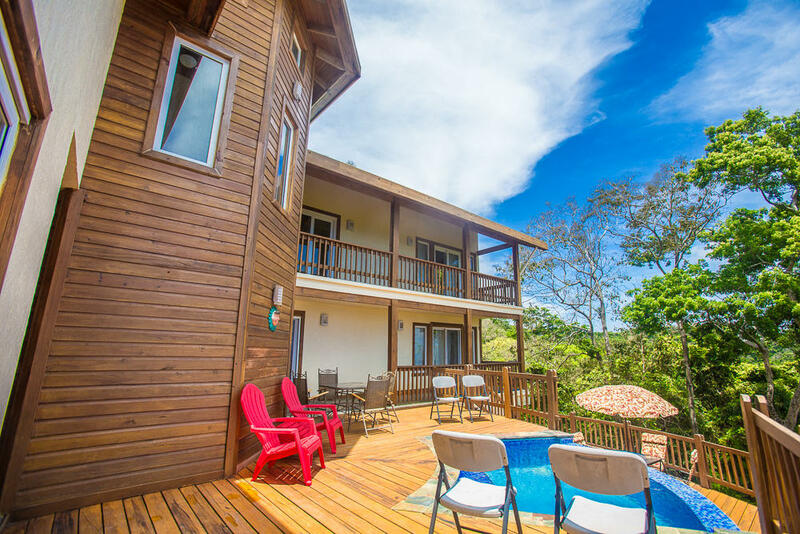 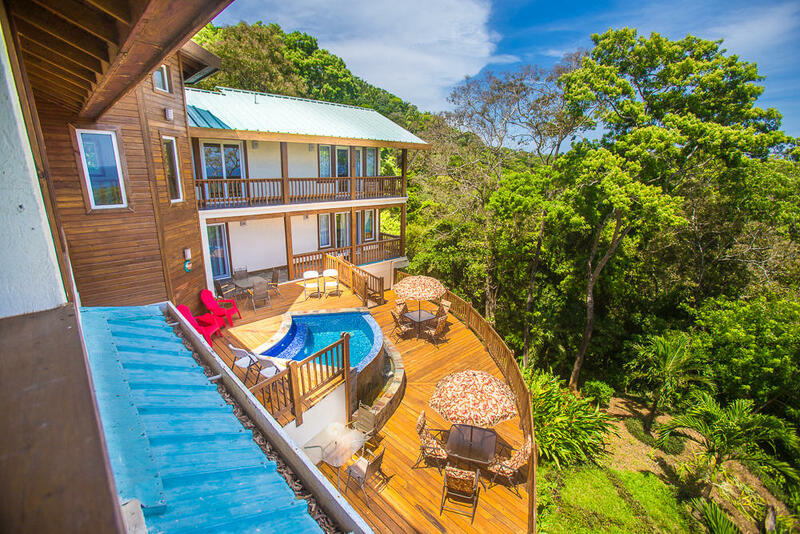 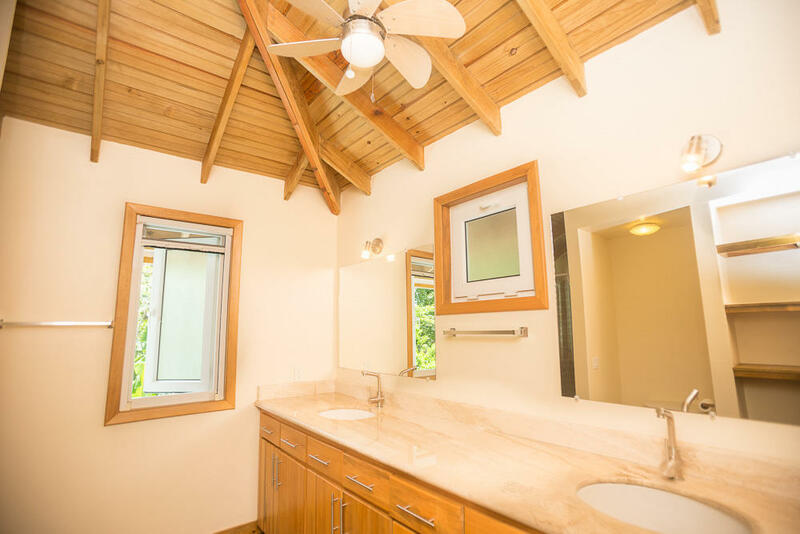 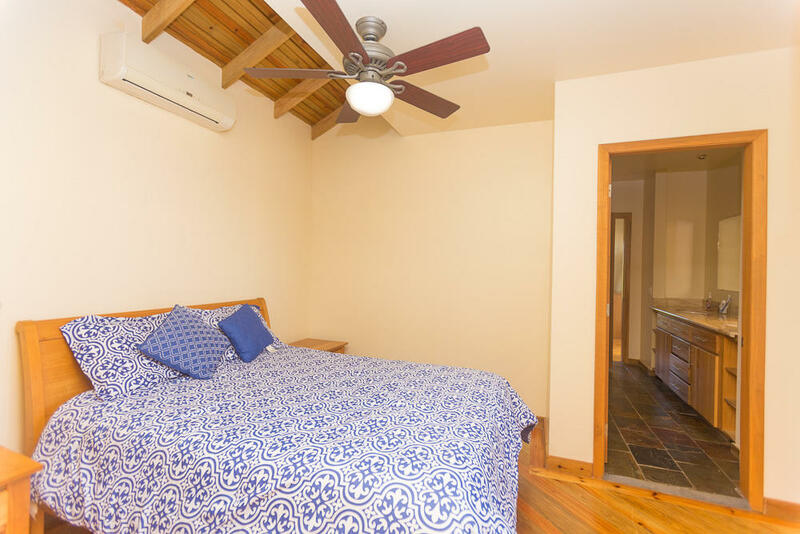 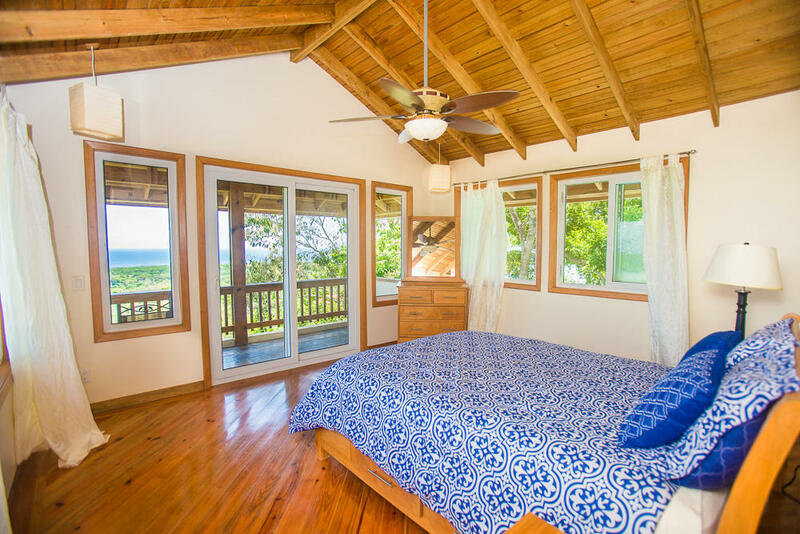 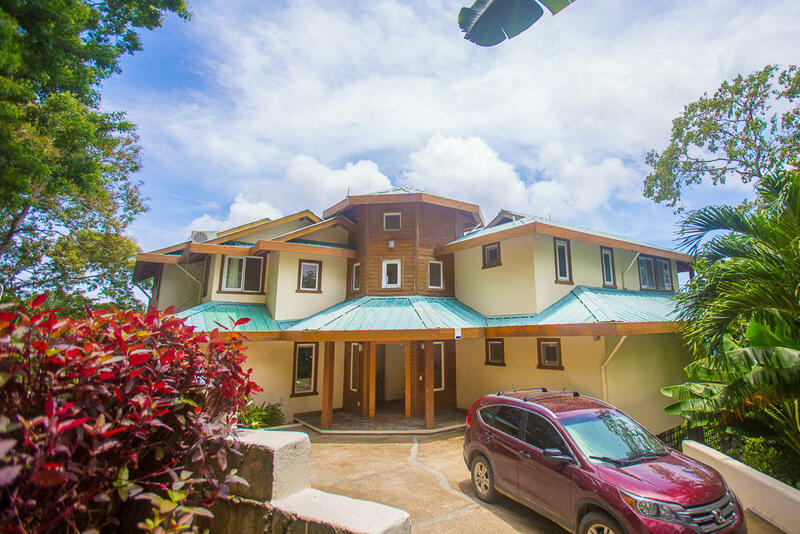 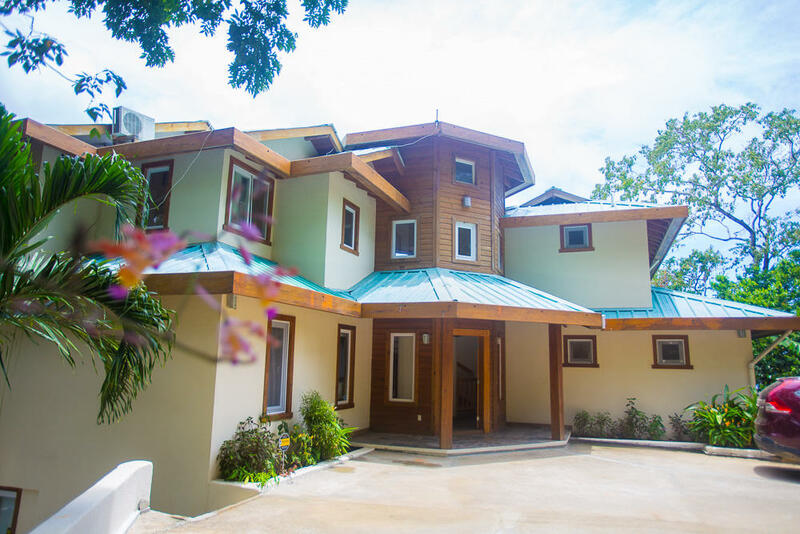 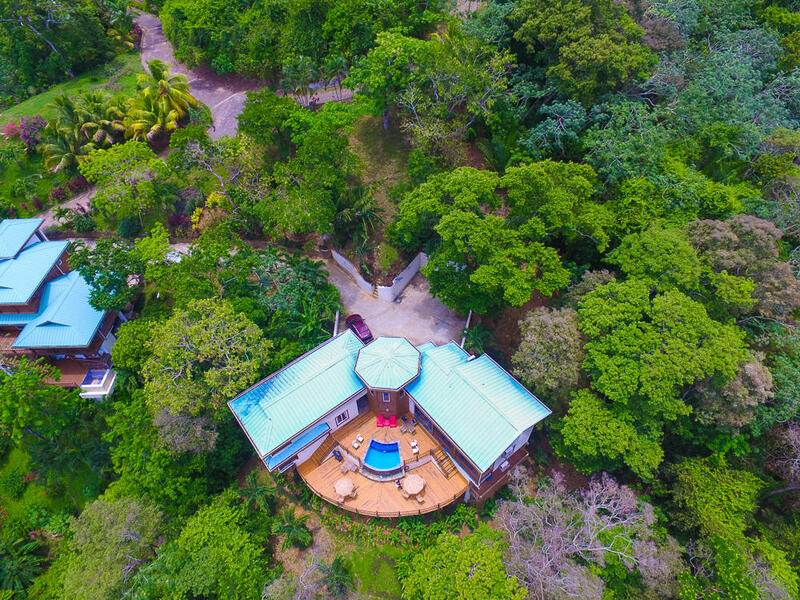 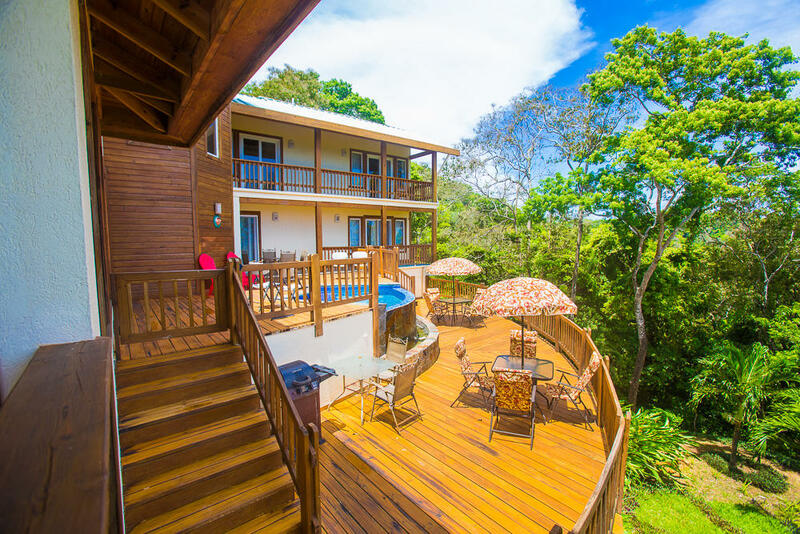 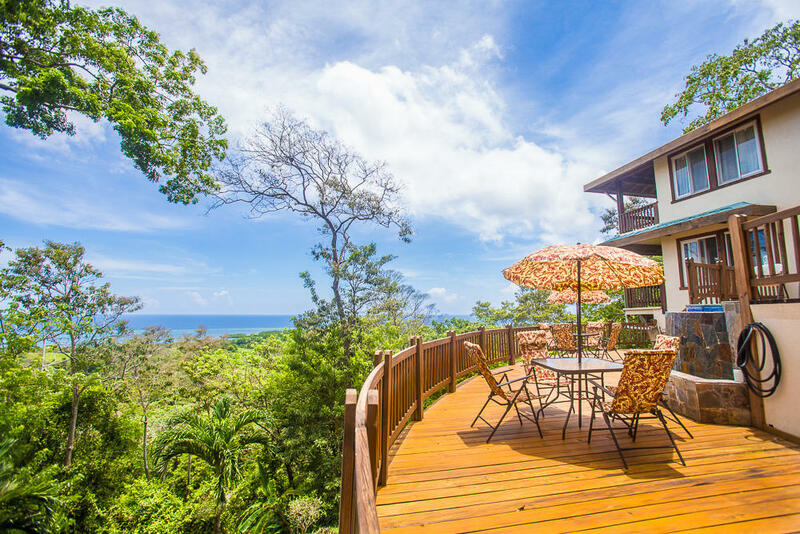 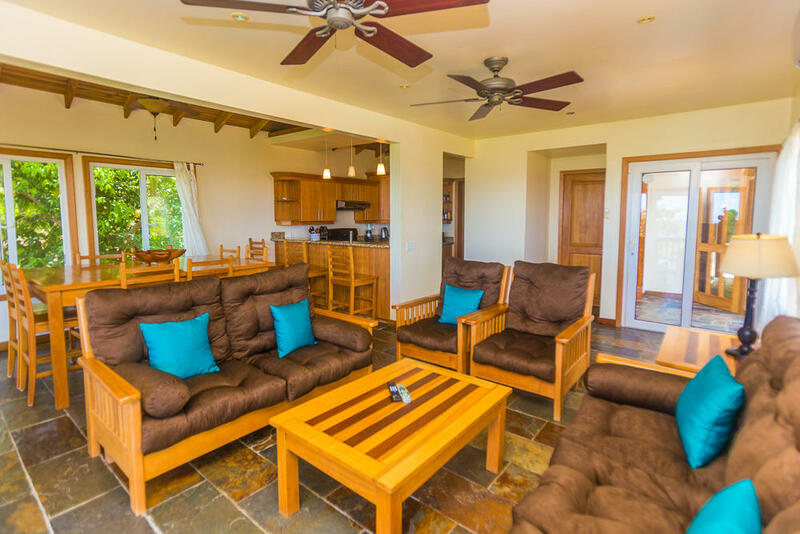 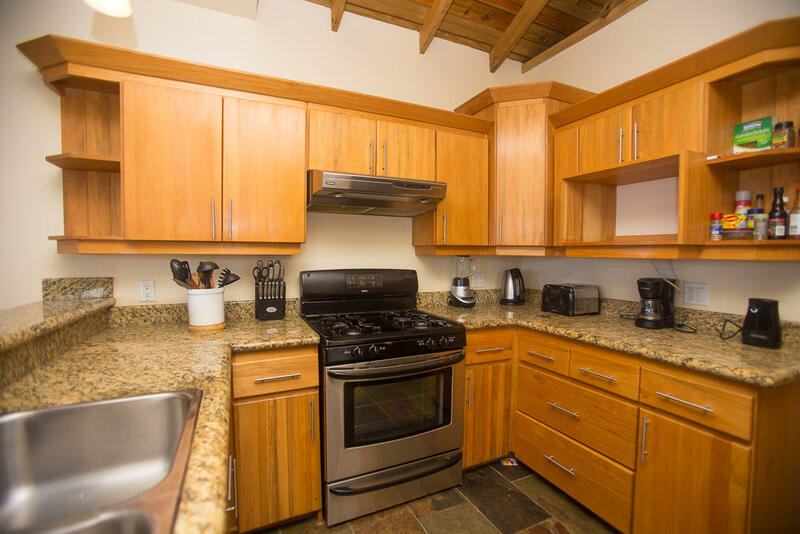 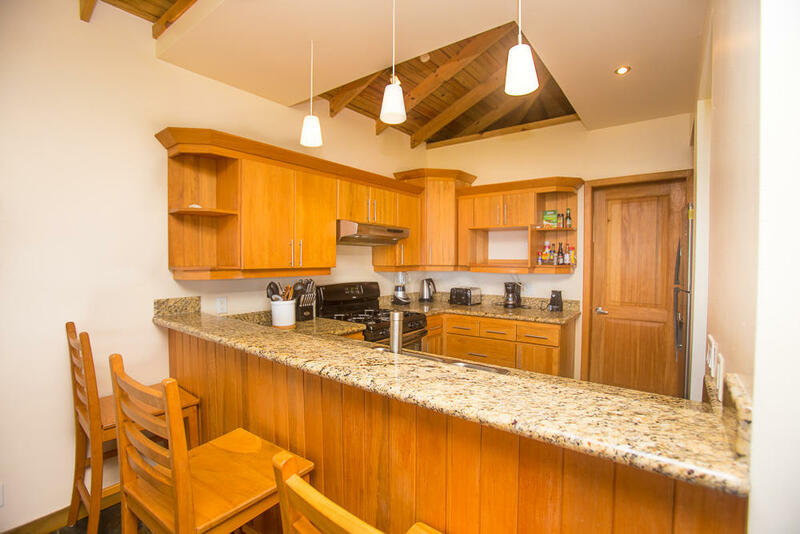 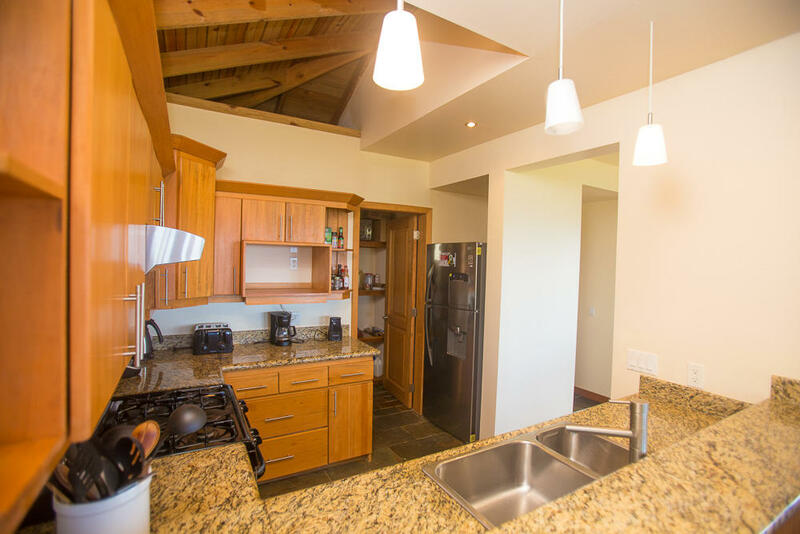 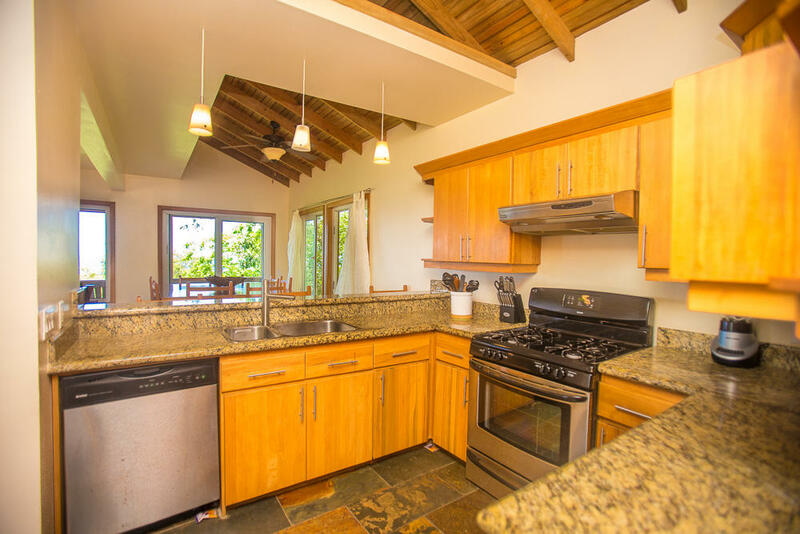 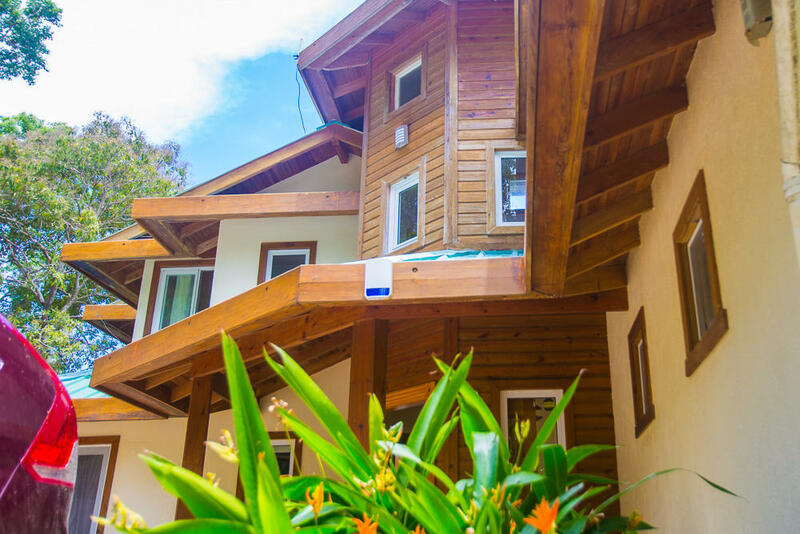 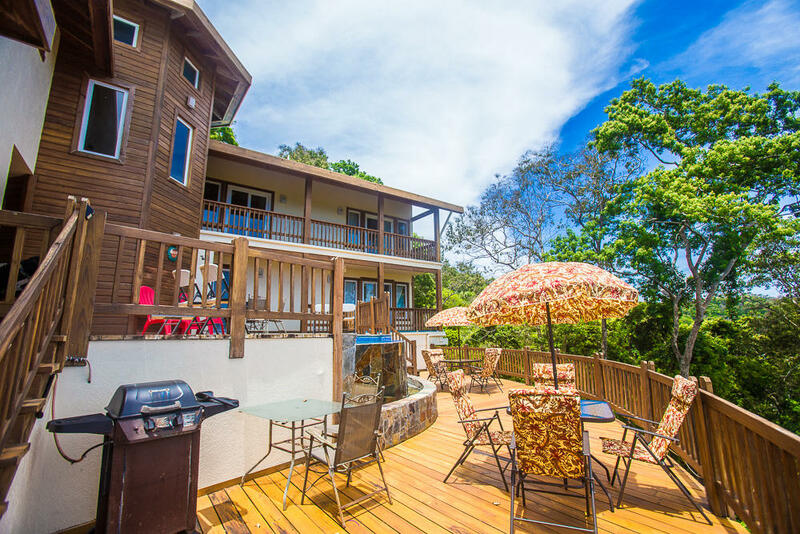 This ideally located property is just 15 minutes from both French Harbour and Coxen Hole, putting you close to shopping, restaurants and the airport.